As a new owner at the property Dan wanted a new look, new branding and a new website to push this historic Santa Fe inn into more modern look. We wanted to keep the uniqueness of the Santa Fe style and wanted to try and attract a younger crowd as his demographic was decidedly older. 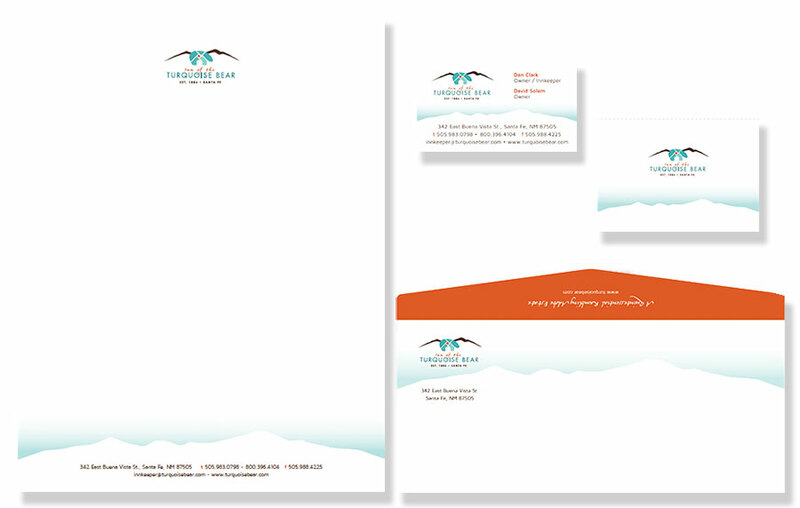 Our designer came up with a logo that incorporated the bear of the Turquoise Bear and also displays the mountains of New Mexico behind the bear. The inn has been in existence since 1886 and we really wanted to incorporate the year into the logo. The colors and design of this logo really reflect the designs and colors of the South West. Our directive was mystical, spiritual, authorial and sophisticated. 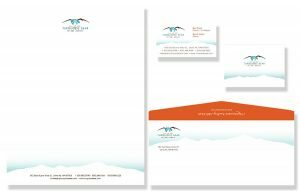 After we completed the logo, we went on to create business cards, letterhead, envelopes and notecards for Dan to compliment the branding update.